LG has been gearing up for a substantial Fall launch. The V10 was announced about a month ago, aiming at a November release in the US. So the time has come to know when you can get your hands on LG’s latest. First up, AT&T has stated that you will be able to order the V10 starting tomorrow (Oct. 27th). However, the stores will be slightly behind. The device won’t be on store shelves until Nov. 6th. In case you need a fresher, the V10 is replaces the G4 from earlier in the year as LG’s new flagship. While some specs are the same (Snapdragon 808 SoC, 16MP rear camera with f/1.8 aperture and OIS 2.0, and removable 3,000mAh battery), there are a few substantial improvements. An extra gig of RAM brings the tally to 4GB now, 64GB of on-board storage is standard, and there are two rather unique features above the main screen: two front cameras options and a secondary screen for Always-On functionality. The V10 was initially shown off in five color variants, but AT&T has said it will only have the Space Black or Opal Blue. The device will be available on AT&T’s Next program, for either 30 months ($ 23.34), 24 months ($ 29.17), or 20 months ($ 35). But if you’re old-fashioned, you can still sign a 2-year contract to get the V10 for $ 249.99. Also, at launch, AT&T will give you a free 200GB microSD card, extra battery and battery charging cradle with the V10. That’s a pretty enticing deal, especially if you value LG’s continued support for a removable battery and microSD expansion. But wait, there’s more! For the more budget-conscious crowd, AT&T is also launching the G Vista 2 on Nov. 6th as well. In case you missed it, the Vista 2 has a 1080P IPS LCD, 13MP rear camera, and 3,000mAh battery (same as the V10). It will come in Metallic Grey and also be available on the Next program: 30 months ($ 14.97), 24 months ($ 18.71), 20 months ($ 22.45), or $ 49.99 with two-year contract. For T-Mobile users, the Un-Carrier was quick to respond with its launch details. You’ll be able to order the V10 starting Wednesday, Oct. 28th. If you prefer to pick it up in stores (or if you’re on JUMP! On Demand), it’ll be on shelves Friday, Oct. 30th. T-Mobile’s retail price of the V10 is $ 599.99. This translates to $ 25/month over two years, if you choose to finance with $ 0 down. $ 25/month is also what you’ll pay if you JUMP! to it. You can pre-register for the V10 here. What do you think? Are you gonna be picking up a V10 soon? 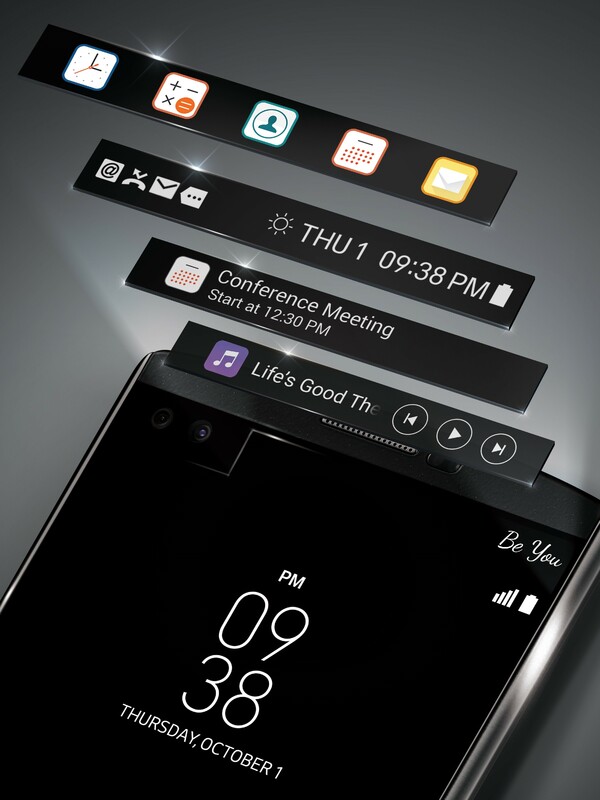 The post LG V10 can be ordered tomorrow on AT&T, followed by T-Mobile on Wednesday appeared first on AndroidGuys.